It has been a fun few days. I hope the team’s next goal involves reducing Anderson’s games played over the season. Wheeler outlines a player type that the Leafs are leaning on for success: players that can hold the puck longer than usual and skate their way through and out of traffic. In lineup building parlance, I've been calling them carriers but their skills also translate to 'heavier' or extended OZ possession. Their skill with the puck and skating opens up more play options than your standard chip and chase player has (Marleau, Brown, Hyman, and to a certain extent Johnsson, Kapanen). They excel at shepherding the puck in transition, drawing in extra defenders, and getting the puck to their teammates who now have more space to operate. Was just looking at the Marleau contract, and he's got a $3m bonus in July, then he's just playing for $1.25m during the season. Buffalo. Detroit. Montreal. Winnipeg. Calgary. Edmonton. Vancouver. Minnesota. Florida. LTIR is the only way out of the Marleau contract but I doubt it happens. He will likely be taking up valuable cap space next year. Well, a proper response should have come from the officials. That stuff to me is a major penalty. I would have liked to see a major there, too. I'd also say the Leafs did respond. That's when they slowly started to pick up their game, and they eventually responded on the scoresheet. That's where I want to see the response. With goals, not fists. Not saying it is going to happen but if he decides he wants to retire, the leafs could trade him to another team first. They’d have to give up draft pick(s) as compensation or perhaps take on a lesser bad contract. I thought he couldn't be traded. If he agrees, he can be traded. I would assume that if he is on good terms with the leafs then if he no longer plans to play, he will allow his rights to be traded. But he could certainly disallow that if he chooses to. He has a no movement clause so they can't do anything without asking first. Unless the Leafs win a cup this year, Marleau is not going anywhere. 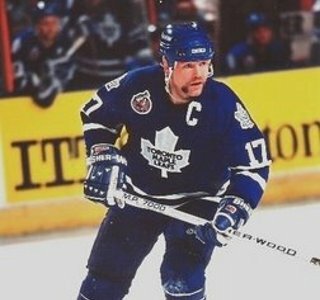 Leafs are not going to treat Matthews' and Marner's dad like crap. Not happening.